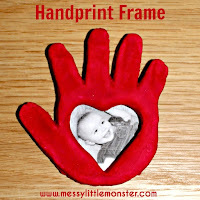 Handprint pictures always look so cute, especially when they are made with tiny little hands. 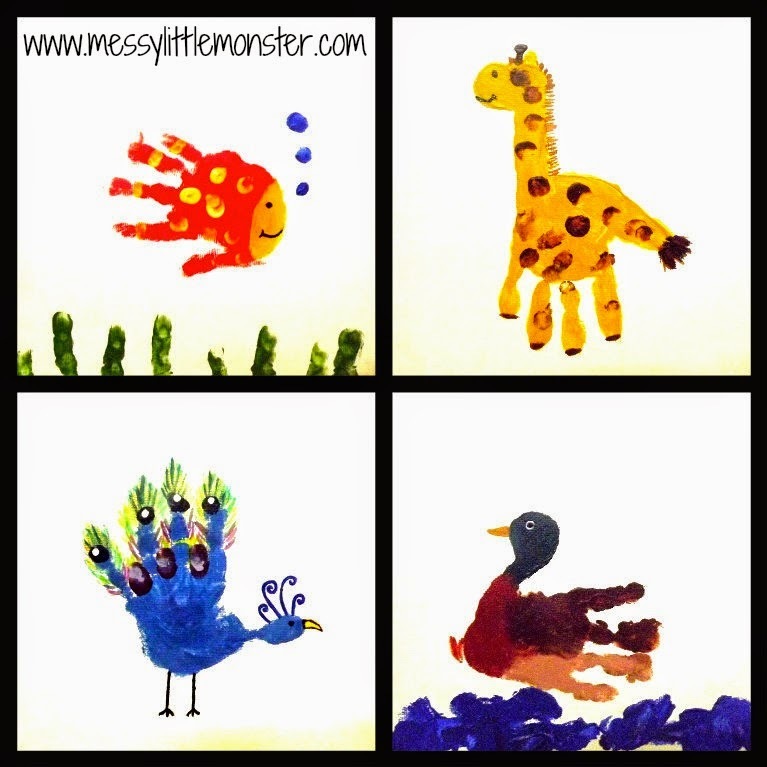 These handprint picture canvases were made as Christmas gifts for family. 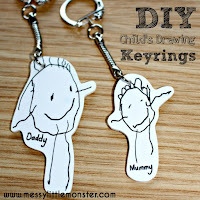 Each handprint keepsake has been personalised with a handprint animal on a small canvas. 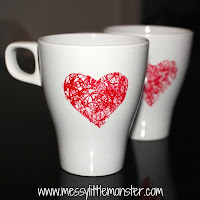 Harry was only 2 years old so had a LOT of help making these. 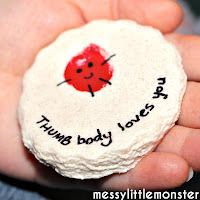 I painted his hand (in the correct colour acrylic paint) and then once his handprints were dry I painted on the detail. 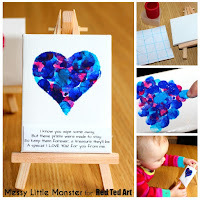 We used 8" x 8" square canvases (UK affiliate link/ US affiliate link). He was really proud of his paintings and he loved handing them out to family on Christmas day. 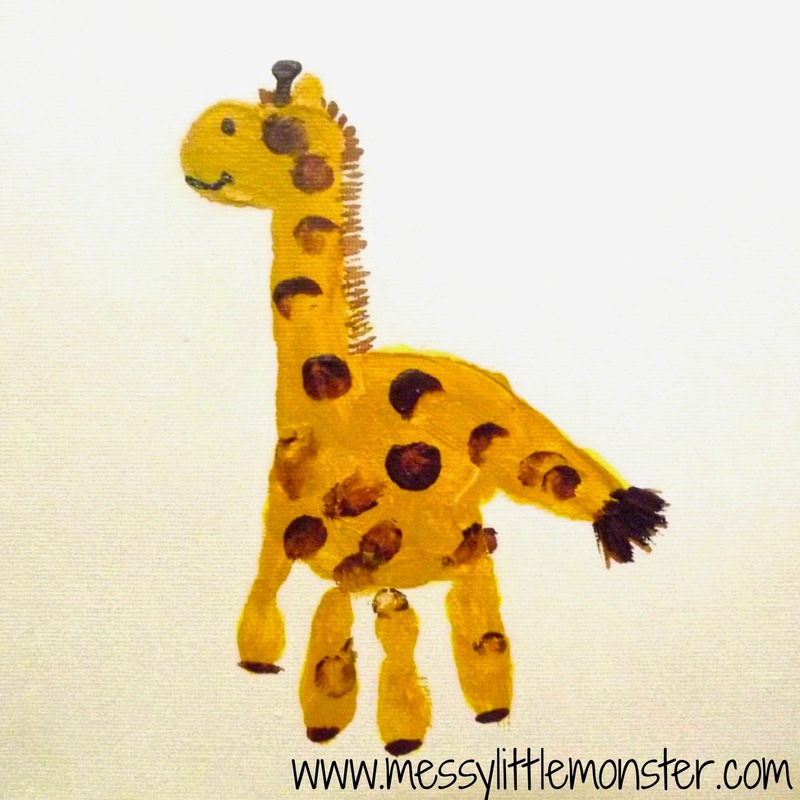 For the giraffe we did a yellow hand print and then I painted on the neck and head in the same colour. We did finger painting for the spots. I painted the extra details on the head, neck, tail and feet after it had dried. 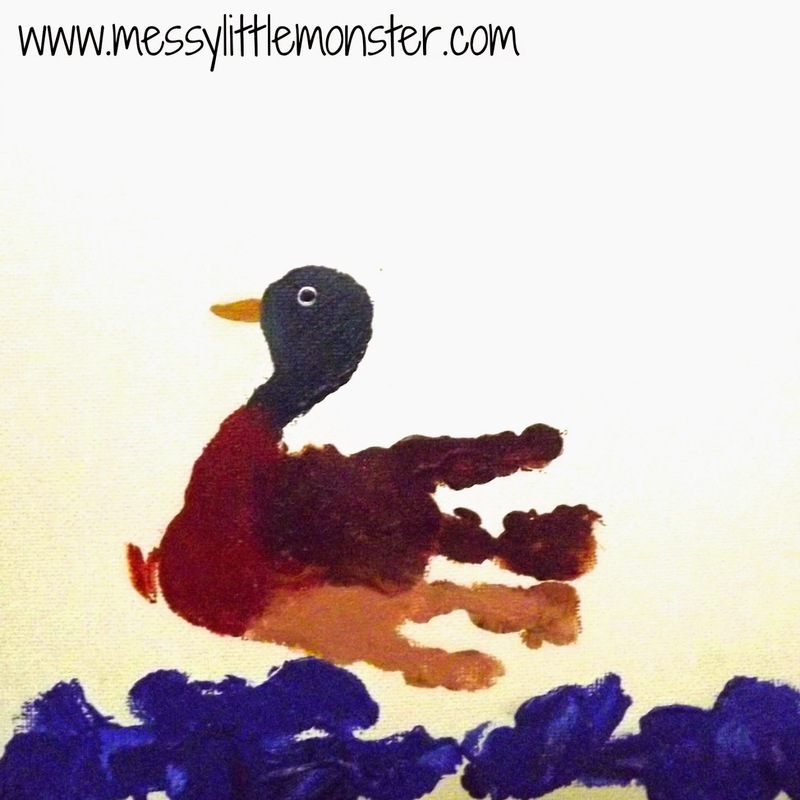 For the duck we did a brown handprint (using 3 different shades of brown) and I painted on the green head. Harry painted the water (with a bit of guidance) with a large paintbrush. I painted the beak and eye on after it had dried. 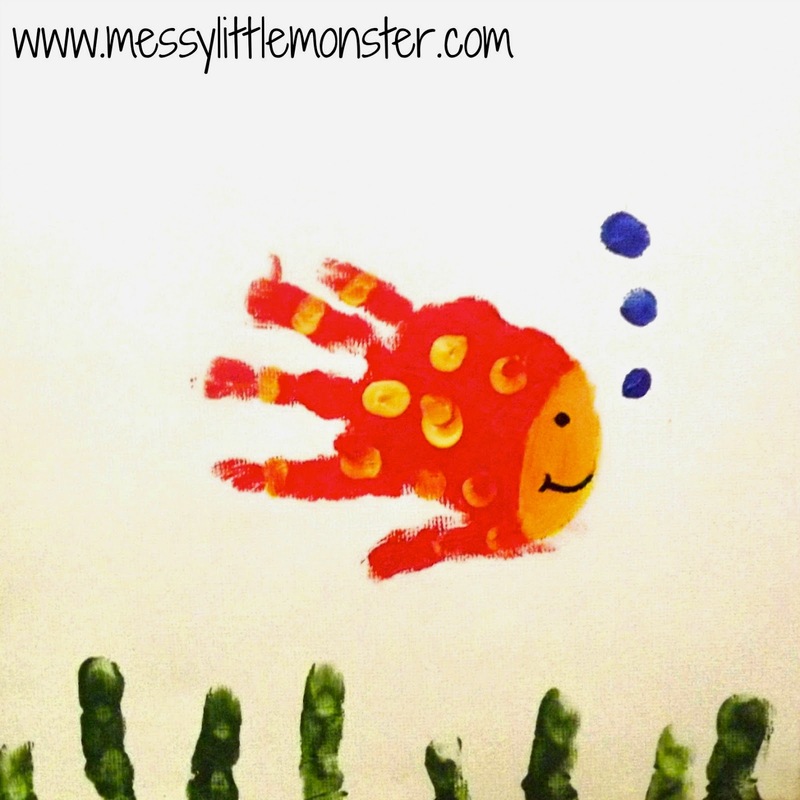 For the fish we did an orange handprint. I added on the yellow face and the spots and bubbles were Harry's fingerprints. We made the weeds at the bottom using Harrys fingers. 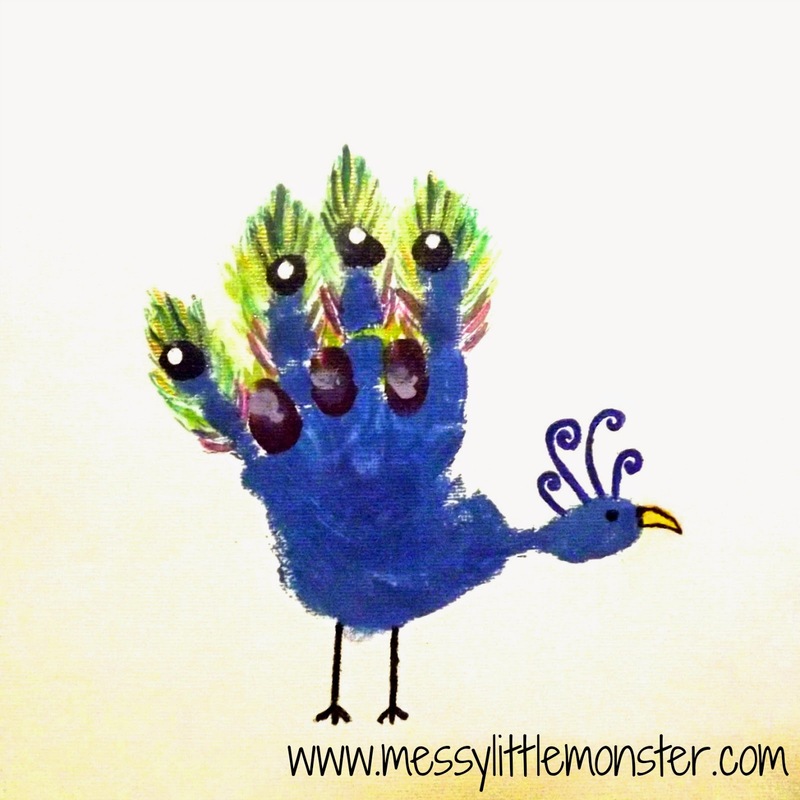 For the peacock we used a blue handprint. 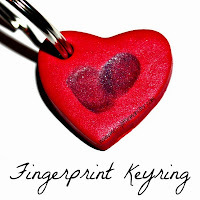 The purple and black dots were made using Harry's fingerprints. I painted the detail on the head, the feathers and the feet after it had dried. I used a gold pen to add a bit of shimmer to the feathers.